This dark Chocolatey dense Bundt Cake is out of this world moist and delicious! One bite and you will be dancing the Irish Jig. 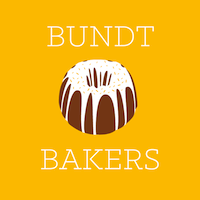 I couldnt be happier about this months Bundtbaker. Because this months theme is all about the booze. Lauren Mitchell over at From Gate to Plate is our host this month. I couldn’t be happier. I had some Guinness leftover and decided to turn it into a moist delicious Chocolate cake. You can thank me later. Place the flour, baking powder, baking soda and salt in the bowl of a electric mixer fitted with a paddle attachment. Stir the ingredients together to blend. Place the butter, Guinness, cocoa and both white and brown sugars in a large sauce pan and bring to a boil. Remove from the heat and cool slightly. Add the sour cream and eggs. Mix to combine. Here are other fabulous Boozy Bundts. Love the guinnes with the chocolate, it makes it so moist!! !